I'd like to work with you and you and you only. If you are the ONE … your business and life are about to change. I will share results and tell you exactly what I want from this deal. WARNING: This is for you if you think big. You should take the contents of this email very seriously because the returns for you – and me – can be huge. I have put a few notes right at the top of the email so as not to waste your time. It gets to the point quickly for you and lets you check if you are qualified for this brilliant deal and partnership. Yes really, read, devour, digest and get right back to me. 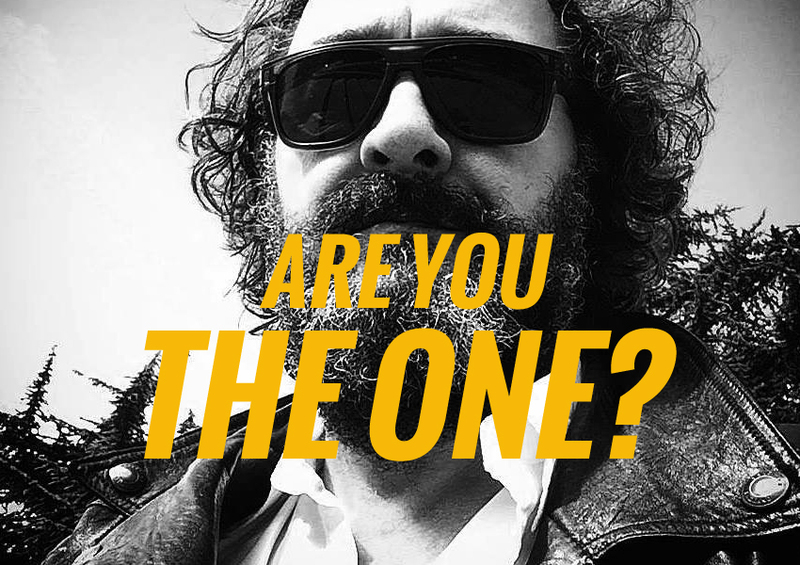 Are you qualified to be The One? YES/NO: You love the idea of working with a heavy-duty marketing expert and would like to explore it further. The question you might have right now. Q? : Alan we are a start up and have no budget – we can do percentages only? Q: Alan we are a new or struggling business but have an initial marketing budget set to one side and want to be smart by making a strong investment for a strong return. Listen very close because things could about to get very exciting for you. This might comfort you. 99% of my partners and clients have tried everything with as many as five or more previous experts. Don’t worry I get it and see it all of the time. And as you know the world of marketing has changed so dramatically over the past few years, everything that used to work doesn’t work and things that we have been told will never work do work. It’s upside down. Then we have the web – it really has transformed the way your buyers buy anything. The teachings of internet marketing experts rarely work in the real world and those that teach internet marketing or digital marketing just do not get the results for their clients. Sound like you so far? If so you are a perfect candidate at this stage. Keep reading though because I don’t want you to miss what I am about to share with you. I do this stuff in my own businesses every day. It works or it fails. If it fails – I change everything up and test again. Once it works – we roll it out bigger and better for more. This is exactly what I have been doing since 1998 online. And frankly, I have sold a ton of real things online. Cars, landscape services, jewellery, books, security services, houses, private army rental (true), events, hard copy books, eBooks, eBay stuff, amazon stuff, dentists, hairdressing services, teeth whitening, legal services, investing, clothing, yoga, fitness, diets, pet services, cat and dog home, flowers, data mining and much, much more. I have tested and tried everything. Anything new that arrives this week – we test and try for results. I don’t mean trying it once we allow it to run and create real tests. Instagram, Facebook, Twitter, LinkedIn and just about every social media and social media tools you can think of. 99% of what you read and hear and see about social media will NOT increase anything in your business one single bit. However, I discovered and worked on testing that has brought sales, leads and conversions of 49.2%, £300,000 per month all from social media. I test and use what works – rarely what everyone is being told is working and should do. And how about your website? Despite so many small or new businesses plowing everything into their websites, I made a shocking discovery (accidentally) that proves that you no longer need a website to do everything to build an empire. Really? I have a client right now that is turning over around $12 million per year and his sales don’t come directly from his website. I am also running a tool right now that delivers us sales and although it is online it isn’t on our websites. My unique, tested for 20-years, results-driven, proven, changeable and flexible 3rd Space Marketing Strategies does exactly this. Here are a few online results worth a read right now. When you read them ask yourself is this what I need right now? Online case study: Twitter breakthrough – Superb trick that put over 300 customers into space in 10-days with sales topping tens of thousands. Breakthrough: Offline to online: Here’s how you take an offline business online and avoid all the online scams, myths, and cash draining advice. Here’s how you get it right first time. Breakthrough: Free ads in national dailies – forget Adwords and Facebook – this incredible strategy can get your brand or company all over some of the biggest most expensive advertising spaces absolutely free! Breakthrough: Website selling – a website doesn’t mean sales. Here’s how we took a 12-month old website from no-sales from tons of experts to sales just two days after doing just one thing different. Breakthrough: Email selling – here is how you not only email but convert, grab interest, get leads and sales. After sending emails for 19-years in business I will tell you everything that will never work (most do this) and will show you how to create emails that give you every bit of profit and sales you need. Breakthrough: Email systems and strategy – How do you build any size of empire using email? Here’s how we took an email list with no response to an email list that took sales of £42,000 in just 12-hours after the campaign began. Breakthrough: HTML Vs. Text – Highest response? If you are confused about email here are a handful of tried and tested tricks that increase open rates, response rates, enquiry rates and of course sales. Breakthrough: Website – why relying on just your website could destroy your business – Case studies of hugely successful online businesses that have NO websites. Breakthrough: How to take your business to market on-the-go. What tools, Apps and equipment is really needed to keep your business in the loop. Breakthrough: How to create a business online from scratch. I have no interest in doing what most marketing guys I hear about doing which is ‘DOING OK’ for you. BIG CLAIM supported by verifiable evidence. I can even get you in almost every big online newspaper or other highly-hit websites for FREE to build your positioning, power, presence, and branding online. I will be happy to show you the evidence once we work together. And this is the kind of powerful stuff and results I have been running with for a long time now. Is that what you want, need and are now demanding from your business? Or do you need a trade magazine ad campaign offline like the one I created for a film company that took a minimum of £250,000 in contracts (they spent £35,000 on their campaign)? Actually here's what most marketing people, digital marketers, business consultants and especially copywriters never tell you … it really isn't just about the copy or a good sales letter. Again almost 99% of my new clients have already worked with other experts but had no results. 100% of my clients get a result. Recently I had a flower company come to me. They had tried everything and were in the midst of a battle with their current digital marketing company. All the usual stuff had been put into place but the digital guys. Over on year later and two new websites – NOT A SINGLE SALE from their website. I also had a client that just could not find their target market online after over 18-months of the team searching. Actually, the team simply did what teams do and that is do the marketing they were taught at university. Anyway, within the first period of our partnership, I had found them one place online that had well over 400,000 members that were the perfect target for their campaign. It increased leads from one a day to 17 per hour. I know you’d like that, you’d be crazy not to want that. Is working with me for you? Are you the one person that I will be working with very soon for huge results? Keep reading it gets better. Let me remind you – everything you know about marketing has changed! There is no question. You no longer have the control you had in the past with your target buyers. Reaching them can be easier but it takes a lot of time and research - something 99% of marketing men will never do in a million years. Yet you might have everything in the above YES/NO bullet points, you might have just half of the above in the bullet points or you might not even be sure what you have or what you need but I bet you know this. You need some truly expert advice that is going to bring you a greater than ever return on your investment. You really need a break and do not want to take another risk on an expert filled with puffery and promise. Are you that one client to partner with me this year? Marketing really should be the best investment you make into your business. I had a client pay me £18,000 for a project. Now for some that is a hell of a bank-roll to hand over but listen to this before you think about the £18,000. At our first meeting, he arrived in a beaten old BMW. At our last meeting 2.5 years later not only was he now taking over £300,000 in orders each month but he arrived in his Ferrari and left the meeting to go and pick up a Rolls Royce. That was cool! That's not a bad return on his investment is it? Another client sent me £10,000. His return leveled out at just over £7 million. Would you hand over £10,000 in exchange for £7 million in new sales despite his previous marketing disasters? Forgive me, stupid question I know but you’d be surprised at some reactions. Here’s what you do know … You’re NOT getting the results you know you can get or should new getting. "I have everything in place but maybe my message, my positioning, my pricing, my online campaigns is mismatched, has no power, has nothing unique, it says nothing and is generally is weak?" Do you allow your business to slow down, flat line, go into the red, try and recover in absolute panic and finally like the well-established brands that sink like Nicole Farahi - close your doors? How many times have you seen a business close its doors and then read about it only to say, "I'm not surprised"
Yet you know what's really funny… the owners of that business always act like they were surprised! They saw the signs for months and years, they ignored the signs yet they could have easily stopped the rot and literally 'replaced the engine'. Sometimes the fear of stopping and taking a new direction can destroy your business yet what is fear? Fear is an assumption, nothing more. Yet it seems to be all so very hard for some businesses to swallow their pride and make some changes. That, of course, does not have to be you! I'd love to work with you and put some groundbreaking transformations into place for you and me. Right now I am looking for one big client I can super-focus on all year around. I am looking to make you huge profits, turn your marketing around and create strong, targeted, trigger-based messages to your hungry marketplace that will change your fortunes. I will fix everything. I say I can because I know I can and I have a long track record of doing just that. Actually, it won't cost you a penny because my marketing and business strategies never does. £18,000 invested. Returns of well over £300,000 every month. £10,000 invested. Returns of over £7 million. Seriously is that a bad investment? I will do everything I know for you to make sure you get the results you need. Fix everything fast or dump everything faster. Guess what else I can give you? Of course this isn't for everyone. If I give you what you need in your business right now what will you give me? If I give you an EXTRA ONE MILLION POUNDS in turnover the next 12-months what will you give me? If I double, triple, quadruple or break every record you've ever made, what will you give me? If I give you the extra branches you really need to hit, what will you give me? If I give you so many new clients you'll never know what to do with them, what will you give me? Now I ask what you will give me because actually most of my clients I know once we have spoken and I have reviewed everything what I can give them - YOU. And you see I know I can give you those results because I have done it many times over the past 32-years in my own businesses and my clients businesses so if I give you a result that will change your business and change your life and remove pressure and make you smile in the morning and smile at night I think it's fair that if I give that to you I ask what will you give me. I have an idea, a dream actually. The reason this will work is it is part of my dream right now. I am looking to buy a new studio block for a home, for workspace, and for a collective training space. It will be three floors in the city of Manchester and around 5-10,00- sq. ft. In that space, I want to give back more by supplying inspiring workspace for new businesses. I am also looking to create a dream apartment (New York Loft style in that same space on the top floor. It will have a huge roof garden and a room so large I will have to text me wife for her attention when at the other side. I can only buy this cash if I deliver for a client just like you. Failure isn’t an option. I have not just decades of experience in results but have tested almost everything you can think about online with some incredible results to show for it. When everything is working for you – everything will work for me. Are you the one client wanting to work with me and have never had the courage or for reasons unknown never reached out? This is that moment. This is your moment when you can reach out and talk with me about the deal of your life. This is a risk-free opportunity. What is your gut telling you right now? Does this opportunity have your name written all over it? Tell me what you have right now? Tell me what you want and need to have? Tell me what you'll give me if I deliver for you? And please don't insult me by asking me to do everything for nothing with a 'possible' payment at the end I think with my track record it's just not fair. You can’t make bread without flour – I don’t do miracles! If you qualify as laid out at the start you might be the one. If we like each other we should then agree on a deal that suits us both. Once we agree we should sign a contract that suits us both. Create a master plan that suits us both. I will commit to what I will do for you. You will commit to what you will do for me. I have space for ONE ONLY – Are you the one? Email me now I am waiting to work with you and create some astonishing results together. Let me tell you something true and really funny. You'd be amazed how many people say no to an incredible offer like this. Strange, hard-to-believe and hard to fathom but yes it's true. You could be different – you could be the one. This is the most unique opportunity you can have to have me working at your side for the next 12-months. One more thing: recently I worked with a company that had a huge team of marketing ‘geniuses’ in the camp. Not a single one could track, measure or set up a campaign or anything. No wonder they had zero results! Within the first month of my services I had blown their phone off the hook with new buyers. If that’s what you want? P.s make sure you double check you are qualified to get in touch by re-reading the top of this email! Pps Due to my very own selfish goals I am committed to making sure you get results like I doubt you will have ever had in the past. I want my new space. You want results like you’ve never seen before. SPECIAL NOTES:If you reply asking me for dozens of free tips, free advice, free calls and free downloads clearly you never read the message in full and frankly I cannot reply to those kind of emails. If you can't respect my skills you won't respect your own. An initial investment is required once a deal has been agreed. If we speak on the phone and you turn out to be someone looking for FREE tips I will end the call immediately. Please show respect to the bearded one!